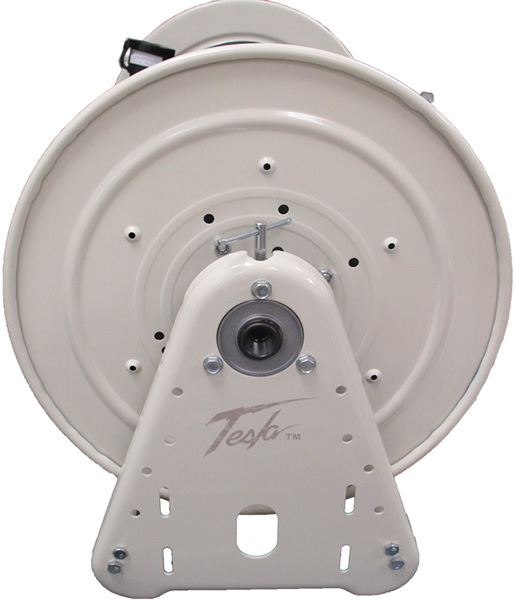 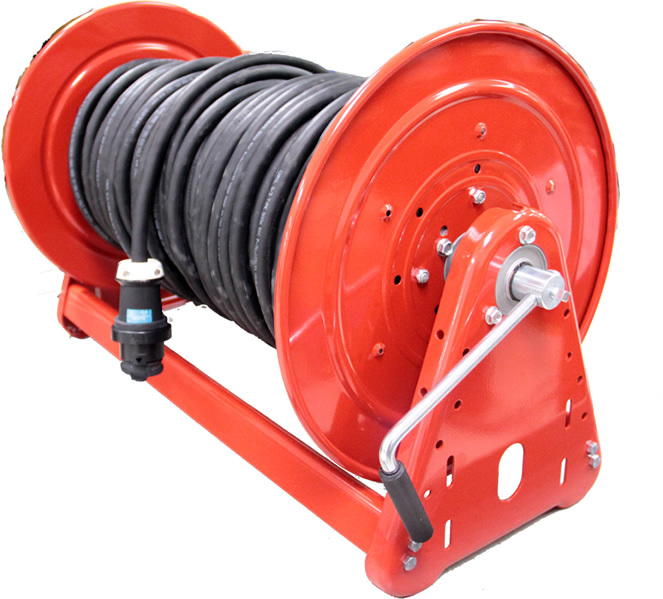 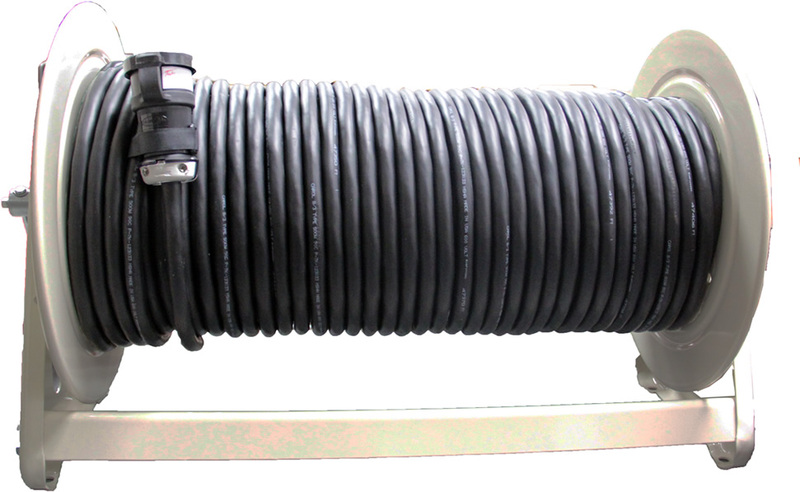 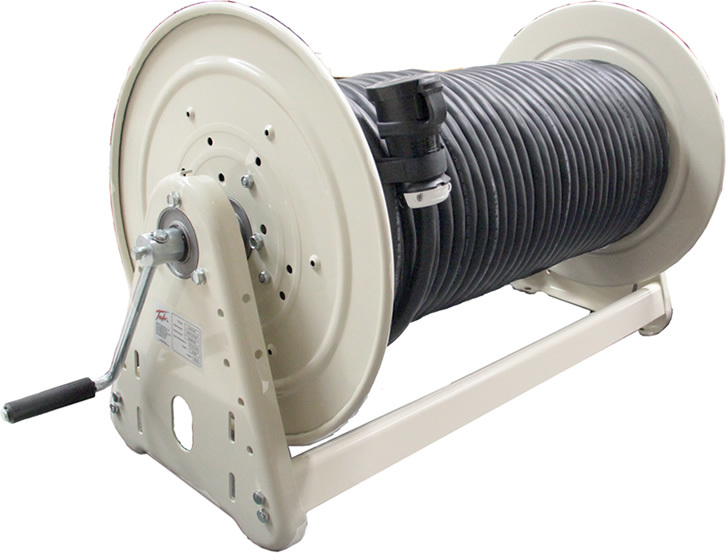 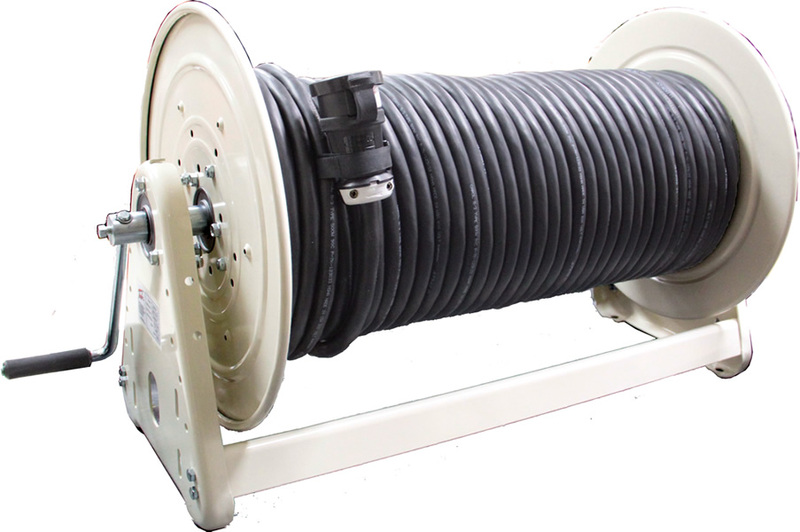 The Tesla™ Reel is designed for rugged heavy duty uses requiring long lengths of line cords and large storage capacity. 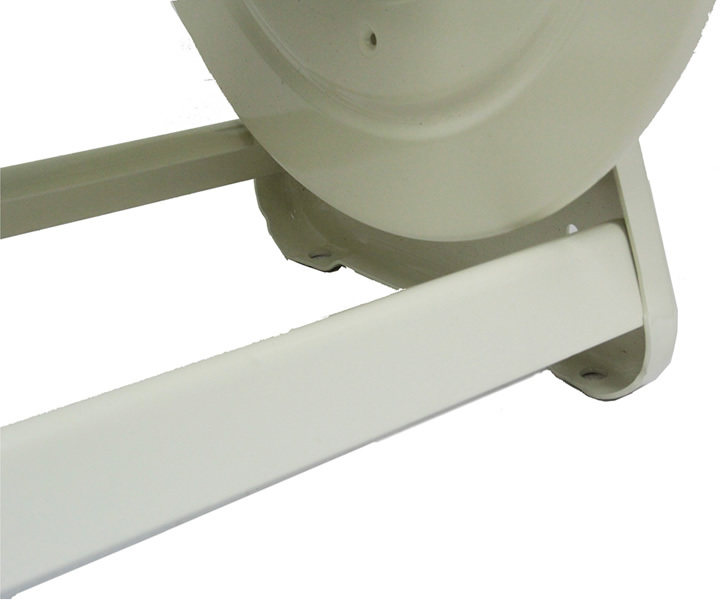 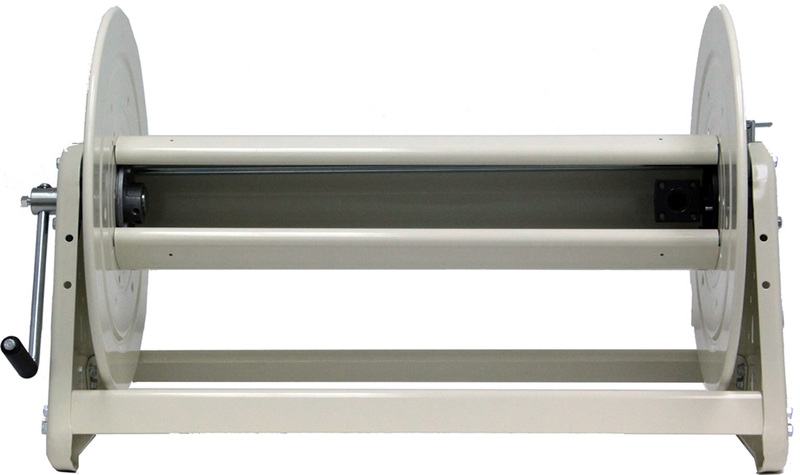 The full flow swivel and heavy gauge frame gives maximum strength and consistent quality. 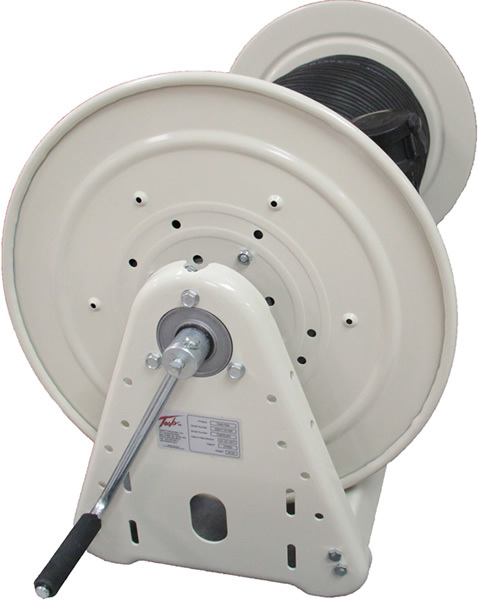 The examples pictured are holding a 100 meter (328 ft.) 8/3 cable. 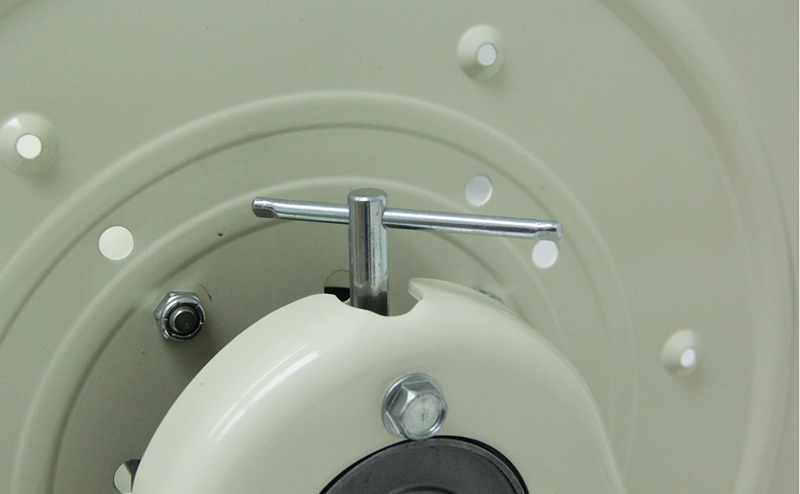 There are four 1/2” diameter mounting holes are located at the base, so the Reel can mounted securely.